Anna became a member of our team in October of 2010. 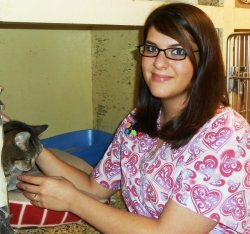 After being a kennel attendant for 4+ years, Anna is now one of our Veterinary Assistants! Anna's pet family includes 3 cats: Jester, Cheddar & Elvira and 2 dogs: Raven & Ozzy. In her spare time Anna enjoys reading and traveling. 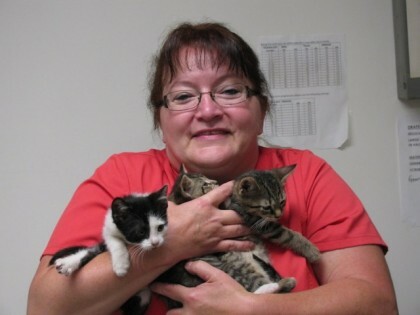 Lisa is one of our Veterinary Assistants and has been with us since 2014! Lisa's pet family includes a dog named Rex. In her spare time Lisa enjoys spending time with her family.